Home / HOW TO / SOFTWARE TIPS / How to Erase a Re-writable CD/DVD on Windows Vista / Windows 7 without using a software. How to Erase a Re-writable CD/DVD on Windows Vista / Windows 7 without using a software. 1. At first Insert a re-writable CD/DVD disc into the CD/DVD drive. 3. 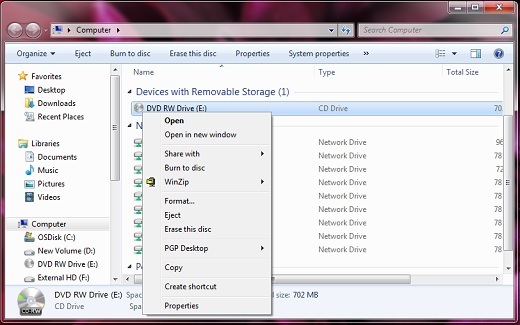 Right-click on the CD/DVD drive icon and select "Erase this disc"
4. 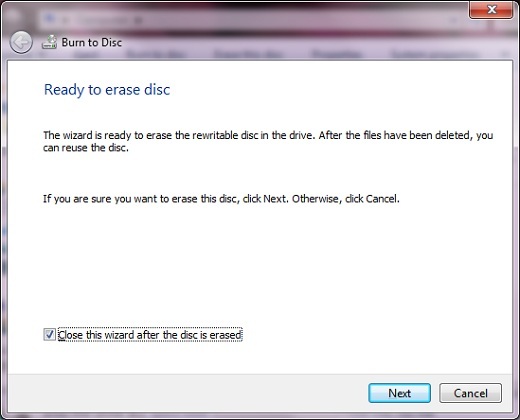 A burn to disk wizard will open .please check the box "close this wizard after the disk is erased. Now click "Next". 5. 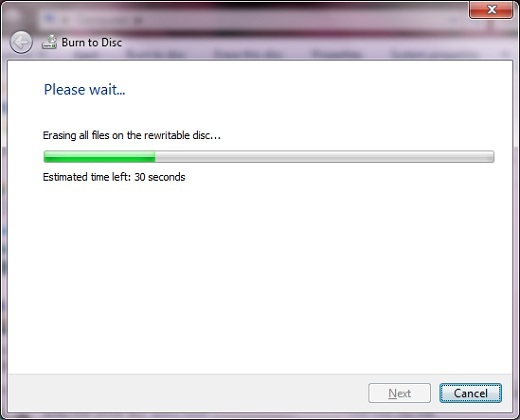 After this Windows will start erasing the disc and it will automatically close the wizard when finish. In this way you have erased a Re-writable CD/DVD on Windows Vista / Windows 7 without using a software.